An interesting album that makes you want to delve deeper into the tracks. 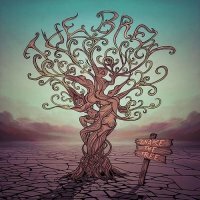 It may surprise you, if you haven't heard of The Brew, to know that 'Shake The Tree' will be the sixth studio album from the Grimsby-based trio. They class it as "Rock with Psychedelic touches"; I'd throw the words 'modern' and 'mystical' in there, but otherwise, I think that description is pretty apt. 'Johnny Moore' outlines the sound well. It has a modern cleanliness to the production, but it is as if the music is rooted in the past and has been given a fresh-faced makeover. Think of it like an old Penguin classic with a new cover. There are touches of Funk in the rhythm section and the guitar work is interesting and unpredictable without being unnecessarily egotistical. 'Knife Edge' is slower and grinding, but there are electronic effects that are a little bit nauseating – the sound equivalent of lights flickering in your eyes. 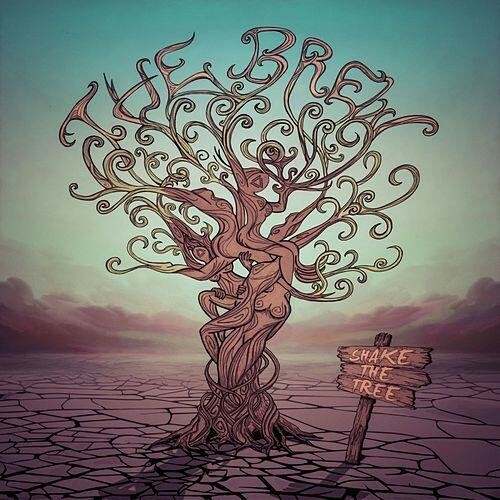 Jason Barwick's vocals are just right; a little rough and throaty but they grate perfectly over the earthy bass of Tim Smith, especially in 'Shake The Tree'. Smith's bass takes centre stage on the title track with a really twanging, dynamic style of playing. 'Black Hole Soul', 'Without You' and 'Rock 'n' Roll Dealer' are solid without being special, though the latter has more energy and a bit more bounce about it than some of the other tracks. 'Ambassador To The Lonely' plays about a bit more with broken rhythms interspersed with chord-driven guitar and Barwick both cradling and drawing out the lyrics for a jam or live-like feel. Closing track 'My Juliet' is why I first mentioned the word "mystical". It has a more relaxed and unusual formation, something altogether a little Folk-like about it. It is disjointed but nevertheless curious and backed up by the band's characteristically solid balance of drums and guitar. Overall it is an interesting album that makes you want to delve deeper into the tracks, despite their apparent simplicity in writing. The musical textures are kept fresh, though the tracks can roll into each other at times; nevertheless, something more unusual on the Modern Rock scene.